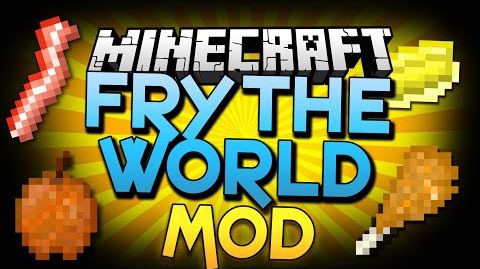 Fry The World Mod is a mod made by The Furnace that adds a deep fryer and vegetable oil to fry up a multitude of foods. 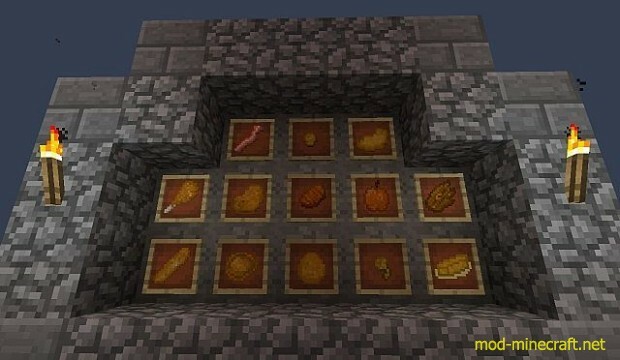 It also adds a couple of new foods that can be made from other foods, such as chicken nuggets and bacon. 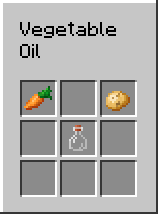 While it is a fairly simple mod, it is still useful as something to sate the appetite of starving minecrafters. 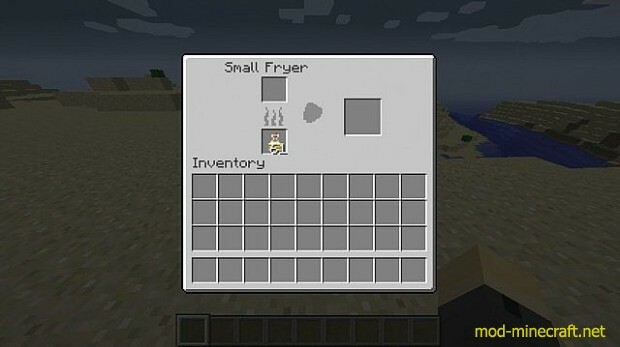 We have plans of expanding it to incorporate fried mobs and a fried biome, where everything is eatable! 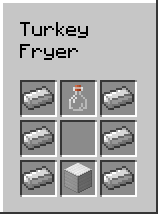 The Turkey Fryer actually requires vegetable oil on the top.